$20K raised so far this year by Jump For Cancer! We are excited to announce that we have raised $20K so far this year for Cancer Society through our Jump For Cancer initiative. And it's only August! 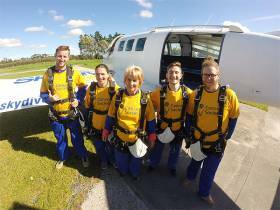 There's still plenty of time to raise money for this great cause and then jump out of a plane for FREE! You can jump any day you like. Find out more information or sign up to Jump For Cancer. 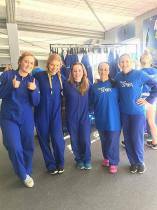 Jump for Cancer at Skydive Auckland! This awesome fundraising event is back again. 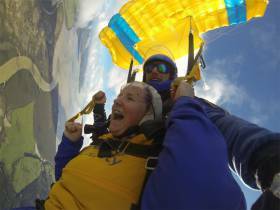 Get a free skydive in exchange for raising a minimum $1000 to provide care, comfort and hope for people going through cancer. We are a finalist for the North West Business Awards 2017! Please vote for us to WIN! Simply click this link and vote for Skydive Auckland - it takes 2 seconds. Well done SPCA - Jump to the Rescue! Congratulations to our outstanding Jump to the Rescue team who raised over $42,000 to help Auckland's animals in need. Each participant signed up to this SPCA event and raised funds for the great cause before then jumping out of our plane. Friends, family, dogs and even rabbits came along to watch them!